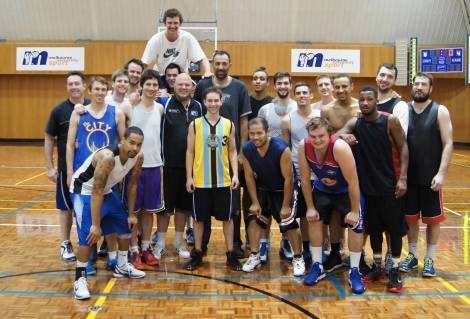 Melbourne University Basketball Club training was graced today with the presence of NBA superstar and sensational bloke Vlade Divac (@bgoodvlade) in a special guest visit to the Tin Alley sports center. Vlade was very generous in teaching our big men some post game and initimidating the hell out of Tim Clarke's offence during a one on one session. During his visit, we were fortunate enough to get an interview with the inside word on Kalemegdan basketball, Partisan vs Red Star, the scandalous Sac Kings vs Lakers NBA 2002 finals series and a funny incident involving @TheBobbyJackson. © Melbourne University Basketball Club 2019. This page was last updated by smoke on January 30th, 2014.